I have started a series of posts covering the basics of an A-Z of cat breeds; however, I am taking time out to write this post to cover quite a sad and angering (in my opinion) topic. Please click on the turquoise words/ phrases for links to videos, images and definitions. The links are external sources, and not my own material. You may have seen various posts recently reporting that one of the Orca’s that bears the show name Shamu and performs at SeaWorld, has gotten ill recently and it’s looking like it’s close to the end for him. Tilikum is one of several Orca’s that perform as Shamu; he is the same Shamu that has killed several people, including several of his trainers. If you have seen the film documentary Blackfish then you will know a lot of what this post is saying; if not, I would highly recommend it – for your own education if nothing more – but be prepared to be moved (grab the tissues if you are prone to tears when watching emotional films). Tilikum was separated from his pod (group of Orca’s) and from his mother at two years of age, by some men in boats. He was taken from the wild, the water, his mother, his pod; in November of 1983 off the coast of Iceland. Orca’s are the largest species of dolphin (despite being known as Killer Whale’s), and like all dolphins are very familial – forming strong bonds within the pod, which is usually made up of family members. They get distressed when separated and are very social. Tilikum was robbed of this at two years old; not to mention the distress this will have caused his mother and the rest of his pod. He was housed in a small pool in an Icelandic zoo for close to one year, awaiting a transfer to a marine park. 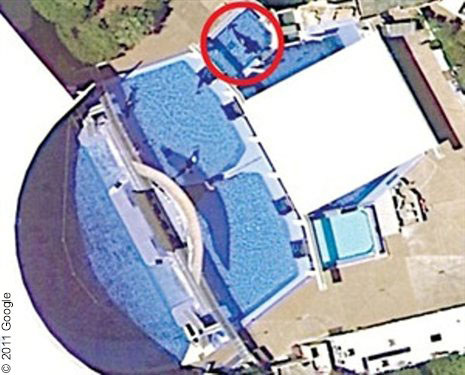 This pool was so small that poor Tilikum could only float at the surface and swim in circles. Orca’s migrate vast distances throughout their lives, and travel hundreds of miles daily – having the whole ocean to explore! At only two years old Tilikum was robbed of not just his pod and socialisation; but also his space, freedom, and ability to perform natural behaviours. Finally, Tilikum was transferred to a 35 ft deep (50 x 100 ft) pool at Sealand of the Pacific Park, Canada. He spent his time in this time pool, as an attraction in the Park. Sealand ‘trained’ Tilikum by withholding food (negative, punishment technique), and was often bullied by two adult female Orca’s also in captivity at Sealand – housed with Tilikum (who was bottom of the social hierarchy). Due to the aggressive behaviour from the older females, Tilikum was moved into the smaller, medical pool for his own safety. In 1991 came the first death. Tilikum, along with the two females, drowned a part-time Sealand trainer. Twenty-one year old, Keltie Byrne, was a marine biology student. She slipped into the pool and the animals never let her leave. Dragging her away from the life-ring thrown to her, and keeping her submerged. Apparently, unbeknown to the staff, both females were pregnant at the time. The behaviour was protective in their conditions, and (as with other pregnant mammals) their hormones will have been changing with the pregnancies. The stress of captivity had led to the first human death by Tilikum. Never-the-less this was a great tragedy. Sealand closed shortly after and put Tilikum up for sale. Nothing was done about Tilikum or his behaviour. In 1992 Tilikum was purchased by, and transferred to SeaWorld. SeaWorld had purchased the largest, captive bull Orca for their breeding programme. Over 50% of the world’s captive Orca’s are fathered by Tilikum. In the years that followed, at SeaWorld, Tilikum developed became more aggressive and there were more aggressive incidents involving people. He developed stereotypical behaviours in captivity, including gnawing the concrete sides and metal gates of his enclosure – wearing his teeth down. In 1999 there was another death; Daniel P. Dukes. He had broken in to SeaWorld, eluded security, and ended up in Tilikums’ pool. Reports said that he drowned in the pool; however the body, when recovered and examined, was covered in teeth marks and showed that Daniel had sustained injuries from Tilikum (including missing some body parts). There was significant damage that it was not determined if he had drowned, and Tilikum had attacked the body afterwards; or if Tilikum had killed him. No drugs or alcohol were reported in Daniel’s system by the coroner. He is commonly considered the second death caused by Tilikum. Daniel P. Dukes was found in the morning, on the back of Tilikum, as he swam around his pool at the surface. Unfortunately, the true cause of his death is still unknown – or at least, still not public knowledge. 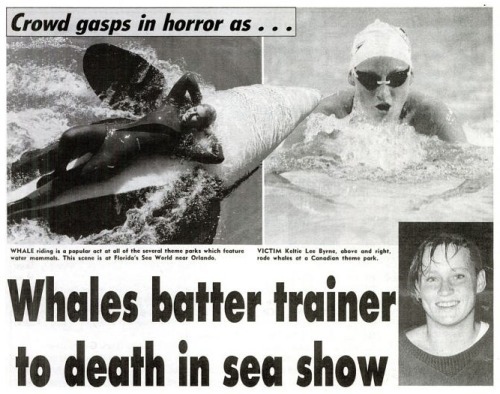 As if this wasn’t enough, in 2010 Dawn Brancheau was pulled, by Tilikum, either by her pony-tail or arm – there is discrepancy between eyewitness accounts – leading to investigations into the history of other Orca attacks – and dragged her into the pool. Tilikum proceeded to ‘play’ with her, throwing and thrashing her around, until she died. Dawn suffered many injuries from Tilikum, before he killed her. In August 2010, SeaWorld was fined by the Occupational Safety and Health Administration (OSHA) for three safety violations, two directly related to Dawn’s death. 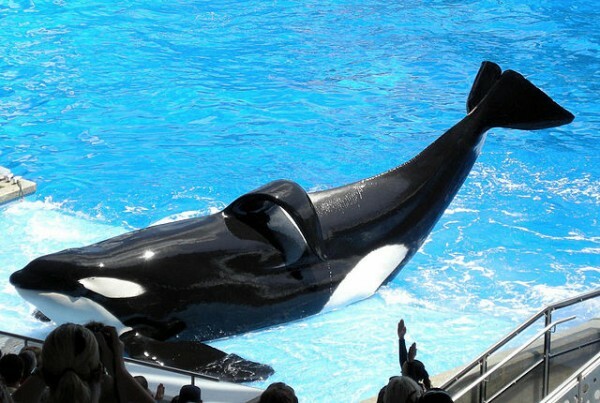 Tilikum was isolated in a tiny pool for a year, before being returned to performing in 2011. Now, March 2016, poor Tilikum is fighting a bacterial lung infection. He is dying from this disease. This animal has suffered at the hand of mankind since age two, he is now thirty-five years old. The collapsed dorsal fin is extremely rare in wild Orca’s; it is a sign of stress, poor health and nutrition. His aggression went ignored, despite the deaths he was linked to. An aggressive dog will be neutered, a dog that bites will be euthanised – Tilikum was aggressive due to human intervention in his life, and his captivity. Tilikum was bought for breeding – and (whether possible or not) would not be neutered to reduce aggression as he then could not be used in SeaWrold’s breeding programme. He was not released back into the wild; after too long in captivity, he may not have survived if he was released back. He was not euthanised after causing the deaths of multiple people. He was not provided with a private, captive, suitable environment – away from tourists. He was given no help, no alternative. He is a stunning, graceful animal who has suffered a cruel life. His aggression has not been addressed, save for the poor decision of isolating this social animal for a whole year, before bringing him back into performing. It is looking like a tragic end to a tragic life, for Tilikum.